The 6-piece (2 female, 4 male) of Hurricane Love are currently recording the sort of stuff that mainstream dreams are made of. Because, let's face it. 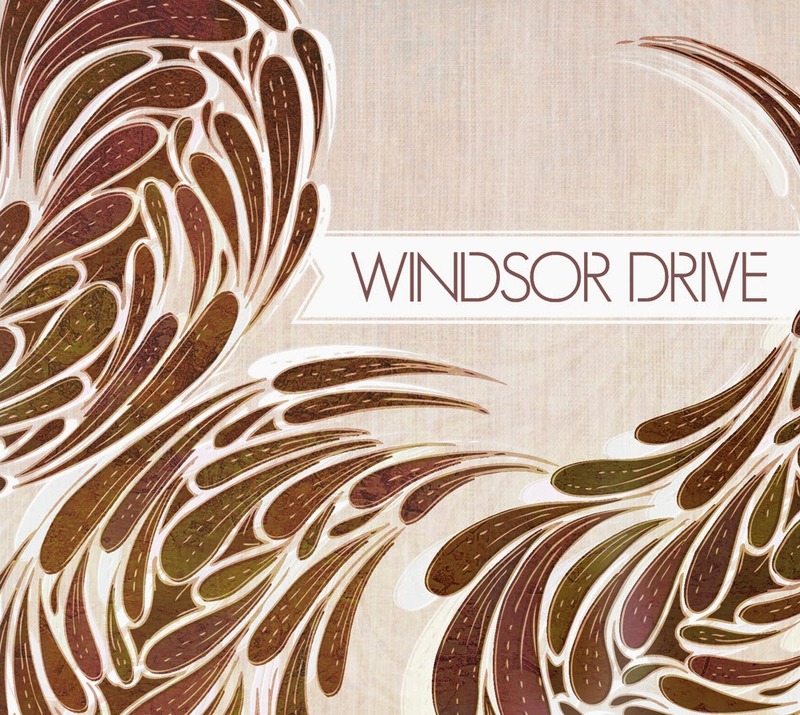 Their debut label 5-track EP is as melodic and radio friendly as they come in this digital era. There's no savage white suburban aggression or frustration to be found on this record. Let's not forget to take into account that we're talking about Sweden here. These guys are more likely to have been pampered to death than being exposed to drive-by shooting and the daily struggle of trying to stay alive in the streets. ... And I actually prefer the softer side of the band (Paradise, You Are The Sun, Only Human) instead of the half-decent uproar and slightly rebellious side of "Blind, Deaf and Dumb". The first mentioned tracks are all top notch and have the sophisticated sound of Mumford & Sons and Coldplay going on at full volume as well as their own 'Swedish Sound'. The only downside when you draw influence from the likes of Mumford & Sons and Coldplay in the year of 2015? There's literally hundreds of similar acts in your very own backyard and neighbourhood. These guys are perhaps no originals or breaking any new ground so to speak. But the songs are darn catchy and should attract hordes of Internet followers. Opening track as well as first single, "Free Ticket", the nice but rather repetitive song. They could/should include more lyric and words to the refrain in my humble opinion. 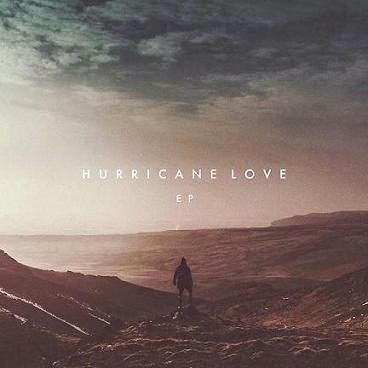 The mix of female/male vocals is however the winning concept for Hurricane Love and Nina or Johanna? might just remind you of Pink (the singer and not the colour). One thing's for sure, the tracks of 'Paradise', 'You Are The Sun', 'Only Human'. -World class arena pop/rock! Risk Everything? Surely you mean keeping it safe but still rather impressive? There's absolutely nothing on this record that would suggest the risk taking or the complete change of structure and style. But if anyone is entitled to sound like Survivor meets Pride Of Lions, surely Jim Peterik is your to go to guy. That's his legacy and place in the history of music. The theatrical, neo-romantic, emotional, songwriting style which is present from the very first note to the last. The crystal clean production, the singing guitar, the slightly nerdy but catchy melodies. It's all there, and it's all pretty darn good. ... And what about this Marc Scherer guy? The five octave ranged jeweler is one precious gem with a golden voice that could easily cut through diamonds. He makes the songs shine brighter and bigger than all the bling-bling in the world. Well... that's over the top. Nonetheless. Great vocalist and I haven't been grinning this much since last time we dug up Katie from the cemetery graveyard (what? again?). Hardly everything that glitter is gold though. 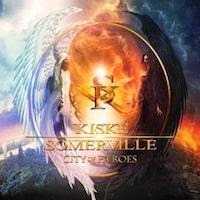 It's the very mid-paced material steeped in the familiar mode and AOR formula and fans of Peterik/Survivor/POL should know by now what to expect (much like the AC/DC fan for that matter). The opening numbers (Risk Everything, Chance Of a Lifetime) are solid tracks and especially the latter gets you into the Survivor mode with tasteful guitar work and hook. "Cold Blooded", the opposite to the Foreigner hit? Nah. 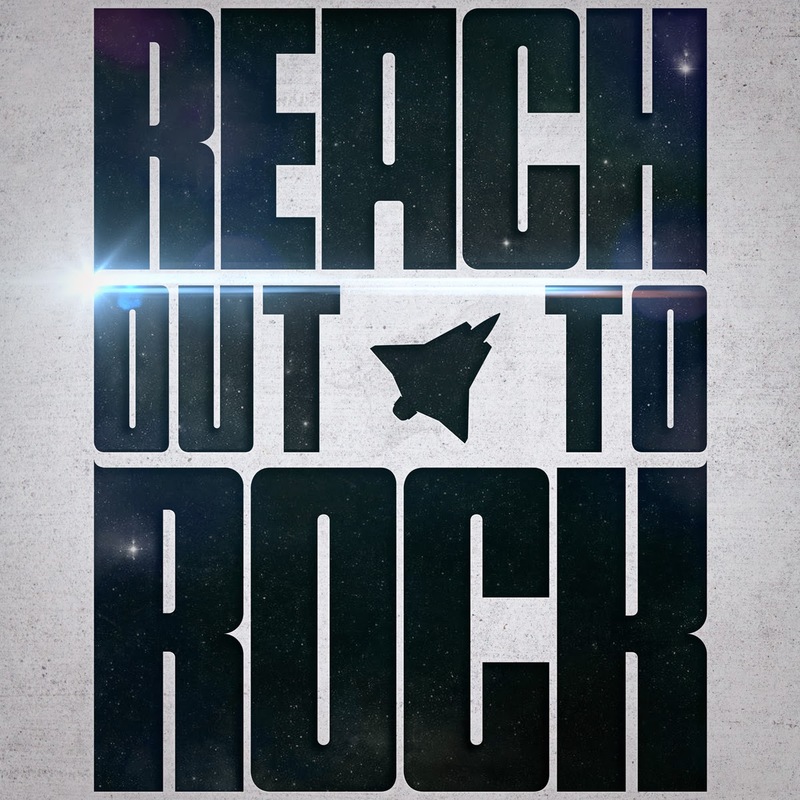 It's just the classy and catchy 80's AOR hit with Scherer's rich vocal tone at the centre of attention. The best track so far. "Desperate In Love", starts out as the ballad only to become yet another rock solid mid-paced number. "Thee Crescendo", over the top and basically the AOR version of Jim Steinman (Meatloaf's writer) with just the hint of Styx? "The Dying Of The Light", pretty boring actually. "How Long Is A Moment", one of those sappy ballads and the perfect match to Mariah Carey. "Brand New Heart", the return of the singing guitar, but there's something missing during the refrain. "Broken Home", the proper tear-jerker and ballad of the album with touching lyric and excellent guest vocals by Shoshanna Bean. "Milestones", no doubt my fave and just as good as any (mid-paced) Survivor hit of the past. Top notch AOR. 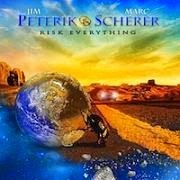 Closing track of "Independence Day" yet another good song by Peterik. They Rise, they fall, they crash, only to rise again? Only time will tell. 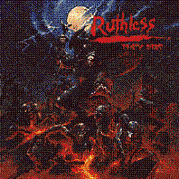 Ruthless started out as the pure U.S. L.A. Heavy Metal act in 1982 and recorded two underground releases (the 1984 EP 'Metal Without Mercy' and their LP debut 'Discipline of Steel' in 1986) before falling off the edge of the world never to be heard from again. Well hold on to your hats kiddies as obscurity strikes back on their comeback album "They Rise". Never really in the spotlight as well as the limelight in the past, the future might just hold great expectations? They've clearly managed to crawl back up from the bottom and to the surface only to disappear once again? "Hangman" is an pretty awesome song though. 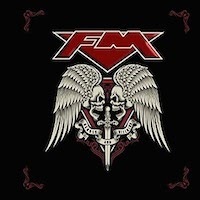 Fast paced with a slower chorus and quite powerful in the old school of Heavy Metal. The epic sounding "Systematic Terror", and its gang vocals, another home run for the Ruthless guys. It's really not the crap record, it's just so been there, done that, and we've read the book and seen the movie way too many times already. Ruthless, not completely pointless? Arsenic Unbirthday (huh? un-what?) 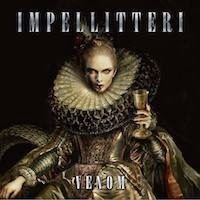 is a poisonous alternative (Goth-ish) rock band and 4-piece from Cagliari, Italy. Formed some years ago by guitarist Nick Farlight and vocalist Mary Red Mallow, they went through several lineup changes and names up until the arrival of their 5-track debut EP. Armed with the benefit of countless experiences abroad with some world-renowned artists, and many side projects, they recording a demo in the well-known Death Island Studios in Denmark. They are now signed to Epictronic and their debut effort display great promise and potential without fulfilling all your expectations. What saves the EP from being average is that they do this very well coming over as a cross between Evanescence (The Open Door) and independent rock/pop. Their lively front woman Mary Red Mallow likes to mix things up by switching from metal to independent rock vocals in no time. It's a bit weird at times I guess but in the context of the songs it works like a charm. 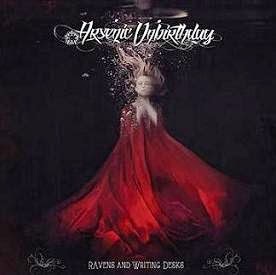 It's big drama and atmospheric keyboards are only to be expected as they blend electro rock/pop (Sparklet) with the more direct metal/rock sound of "Unnecessary Pain". Nothing earth shattering, but a solid effort from the new act. They may still lack that extra special and top notch song material. It's a rather special variant of music though and quite the poisonous act. If you came here looking for high level of craftsmanship and musicianship, you came to the right place. However, if you came here looking for original songs, you're definitely in the wrong. Yes, it's the cover album as they're performing 13 tracks from the vast back catalogue of the Rolling Stones. Why you ask? Because they can? It's hardly better, more interesting, or even remotely equal to the classic and old live recordings by The Stones. It's simply just the fun and more than decent tribute as well as the rocking good time. 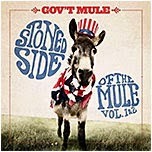 Rocking the joint of Tower Theater, Philadelphia, on Halloween 2009, Gov't Mule recorded this show to be released as the live double album, vinyl only release. That's right, you read correctly, vinyl only. And I believe it's the former President of America on the artwork and cover? Bush Junior? To be honest, it could be most and any of their Presidents. Special guests such as saxophonist Steve Elson (Stevie Ray Vaughan, Radiohead, David Bowie) and Jackie Greene (Phil Lesh & Friends, Black Crowes, Trigger Hippy), "Angie", basically the blue-print to any and all of the Aerosmith ballads? Other tracks include classics such as Under My Thumb, Paint In Black, Wild Horses, Play With Fire, Brown Sugar, etc. Anyhow, a nice little live album that could appeal to the classic rock fans. Can only be purchased on vinyl! Bromley, London. 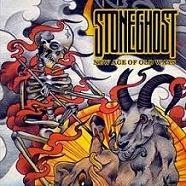 Judging by the 11 songs performed by Stoneghost on their "New Age Of Old Ways" album, it's definitely the scariest place in the U.K. Ghoulish attractions and its chilling atmosphere offers fascinating sound structures and haunted tracks such as opener "Faceless Ghost". Indeed. Everyone loves a good (stone) ghost story, whether you believe them or not. The song is one of the creepiest, eeriest, things we've heard as of lately as it goes through several different layers of murdering metal such as Pantera, Anthrax (the Sound Of White Noise' feat. Bush, and not the Belladonna albums), and Corrosion Of Conformity. Very impressive. Very good. Very Metal! Hang on a minute, the lyrics aren't quite as scary as I first thought? It's about the birth of vocalist Jason Smith's daughter and the way our metal shouter is feeling anxious and afraid about becoming a father? He even went to therapy? WTF? Seriously. WTF?? There goes all credibility out through the front door. Okay. Simply forget about the scary part. In fact. Scratch everything and start all over again? We expected metal monsters and they gave us... people afraid of babies? Stoneghost, haunted by a toddler? Okay lads. So far it's not looking too good, metal image-wise. Let's try and chill by listening to track two, "Devil's Motion". Mosh! It's the over aggressive syndrome all over again. Don't get me wrong. The correct use of the f-word could indeed enhance the listening experience of your metal song. Too many times and it's just poor education and not being able to use the English language properly. Ouch. That's rich coming from your none-English speaking citizen. But seriously. Would anyone care to read the words if you're going about like a mental Smurf with the tourettes? Okay. I'm obviously trying too hard to find things to complain about. But what the hell? Poke the bear and kill your darlings? Second To Breathe, clean singing and mid-paced, grungy metal, you'll have the sound of Corrosion Of Conformity and Mastodon ringing in the background. Raynardine, mythology and brutality works like a charm together and we haven't been mosh-pit dancing this much since last time we dug up Katie from the cemetery graveyard. Sleeper, probably the real sleeper/keeper of the album with its doomy metal sound and mesmerizing melody. I love the Prong-style of Third Degree and the super cool bridge and harmonies. Try this for size if you enjoy the brutal and aggressive vibe of the 90's vs. the mosh-pit tunes of the 80's. Some of the melodies are too similar in structure and style for my personal taste, not to mention that I hate the so-called singing style of Your Trigger, My Finger and Mother of All Bastards. It's still the pretty good album, just not super good. You have to wonder where some bands dig up their names, with Secret Of Boris managing to pick one that is unlikely to do them any favours with the casual listener. Hailing From Dallas, ‘Your Ghost’ is their debut album, and as soon as it starts it’s clear that behind the odd name is a pretty good album. 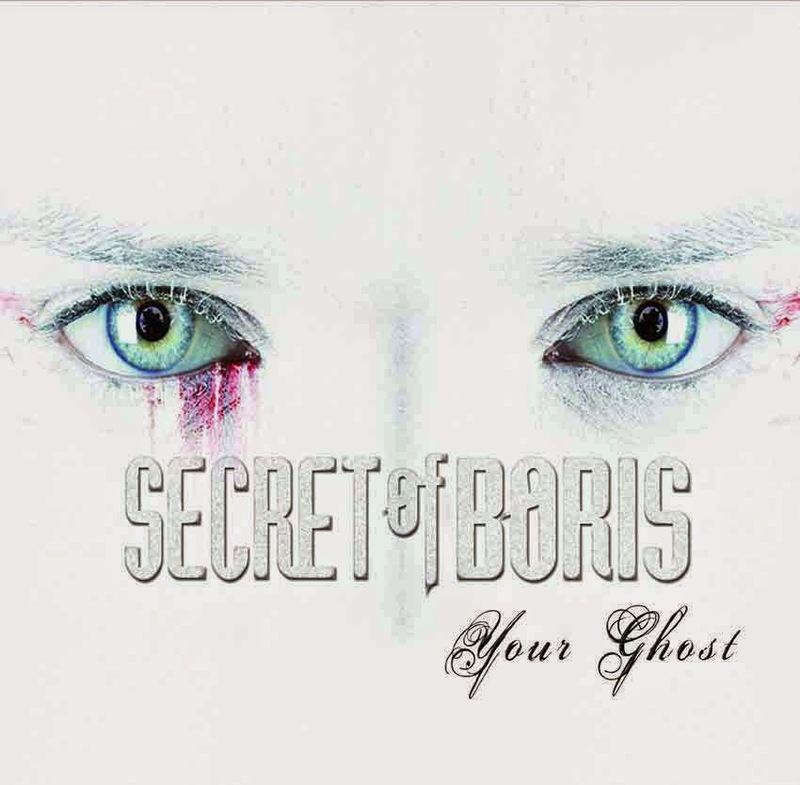 Secret of Boris are one of those bands that won’t fit easily into a pigeonhole, flitting about and refusing to chuck out twelve tracks that trundle into each other like so many other new bands are happy to do. Vocalist Cameron Taylor has what I can only describe as a ‘melodic shout’, which means he has power but without sacrificing tunefulness, much like Chad Kroeger used to do when Nickelback were half decent. Song wise, there’s a definite 90s feel in places, and makes me think of when bands started to experiment with synthesizers and guitars, stuffing pop and rock together but in a ball busting way that culminated in Linkin Park’s ‘Hybrid Theory’ album. I suppose if you take early LP and Early Nickelback and smush them together you’ll have some idea of what Secret of Boris come over like, though be sure to remember that both bands started off very well indeed. ‘Your Ghost’ is an album of layers, and beneath the more immediate shouty melody lies a few tracks that you can really get into, not least the title track that closes the album. The more immediate tracks, like the catchy and powerful ‘What have You Done-‘, or opener ‘Virus’ will really liven up anyone’s listening day, delivering good, old school powerful tuneage. Overall, whilst this may have been better served as a ten rather than twelve track album, but there’s no poor songs and no reason not to check them out. Aquostic Quo - it bloody well works? I don't know. The problem with stripping down to your acoustics? You don't leave anything to imagination? Many of the Quo songs are based on loud guitars and the very basic and straight forward arrangement. Sure. Some of them work in the spare, stripped-back version while others are clearly not allowed to shine, since all of their emotional heft and power are connected to/with the electricity. 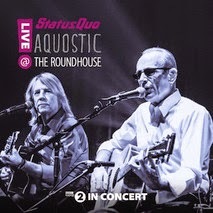 The 2CD, 1 DVD, release of Aquostic Live @ The Roadhouse features string section, backup singers, acoustic guitars, and the laid-back atmosphere and attitude. Here's something you don't hear every day though. 'The accordion player is on fire!' The songs that works (in my humble opinion) are: Rock N Roll. What You're Proposing. Softer Ride (excellent harmonica on this one). Rollin' Home. Marguerita Time. Whatever You Want. Rockin' All Over The World. The real winners are: "Pictures Of Matchstick Men" (this mostly works thanks to its marvelous string arrangement) and "Don't Drive My Car". I never payed it much attention in the past. However, the clever lyric and rhythm works like a charm as the aquostic version. The arrangements got changed slightly and it's a different experience from your ordinary Quo gig. But it's hardly better now? Bonus DVD feature: Behind the Acoustics. "In all these years, 45 years, we've never done a show sitting down". Now try and watch them standing up after the show (ooh my back, ooh my legs). Hear the female backup singers saying that 'quite a lot of these songs being so blokey that we weren't sure if our voices would actually fit, if it would work'. They're not actually singing all of the time though. So I guess it didn't work? Hear the drummer saying that everything is so laid-back and calm. 'I'm using brushes and light cymbals over here'. Yes, mate. It's clearly not your day-dreaming Heavy Metal show of the century. Cheeky and fun banter between the two geezers (Rick Parfitt, Francis Rossi) as they're not afraid to joke around about getting older or telling the loo-story about the Matchstick Men. They seem to enjoy playing the laid-back show every now and then (every 45 year). The rather short and bitter sweet behind the scene documentary. Not as long as expected really and definitely not as informative. Final verdict: Professional done and executed (it's the BBC production). But merely intended to please the die-hard fans? Crank up the amps to 11 next time as we prefer the electric Quo? "Like most writers, I just want to be heard". The humble approach as well as the 'mom & dad' friendly sound, that's "Perspective" for ya'. 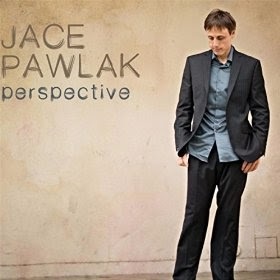 Jace Pawlak's latest album is a more stripped down and deeper record than his other efforts. 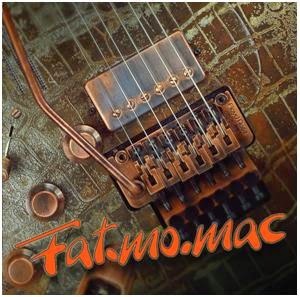 Reaches for a wider audience with it's mix of Melodic Rock, acoustic ditto, ballads, and power pop, it's got that REO Speedwagon meets Billy Joel sound going on at full volume with just a dash of modern pop and singer/songwriter stuff. The rather sterile and clean album with plenty of piano and lyric that speaks of ordinary things in the ordinary life of the ordinary American. If there is such a thing? The wrong turn on the highway could easily turn into the song about embracing the new atmosphere and having the look around while being lost ("While We're Here"). Other tracks such as "Judi's Just Running" takes a lot of inspiration from Billy Joel - his storytelling and ebony/ivory work. Opening number "Cry", the pure and fun Melodic Rock track. Sadly the 'cryyyy' bit (towards the end of the refrain) had me thinking about an Tosh.O episode (feat. the web redemption of some wannabee musician). "We Don't Know Anything" is the ancient old gospel and blues tune of the U.S. past. Next track, "Renegade Heart", completely different from previous song and dance numbers. The pure AOR rocker with a refrain that sounds like a second grade mix of Kane Roberts (Rebel Heart) and various mid-80's acts. "Little Star", you can add this to the pile of 'too syrup for its own good' - Mitch Malloy (Mirror Mirror), Rick Price (Fragile), etc. The jazzy "Don't Talk To Me" is Jace only co-write on the album (he's written several songs for FarCry and Tango Down) and the tune is according to the artist, a complete Toto worship song. It sounds more like one third each from The Doobie Brothers, Steely Dan, and yes, Toto. Nonetheless. It's the jazzy West Coast tune (Yacht Rock). Final verdict: Not bad. Just a little bit too safe. 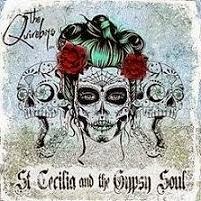 The Quireboys and "St. Cecilia and The Gypsy Soul". Downsizing since the 30th anniversary party and Black Eyed Sons? Hell no. Let's up the game by adding yet another disc to our latest release. Bloody'ell. Let's dive into the ten brand new tracks and album released as part of this very luxurious and grand 4CD set. That's right, four discs, featuring buried treasure, the halfpenny dancer release and bonus cuts. We obviously expect 5 discs on the follow up. Inspired by the 'Halfpenny Dancer' release, the band entered the studio to record the strictly acoustic release. However, an Aladdin's Cave of intriguing instruments inspired them to push the boundaries and slightly shift the focus. It's still a very laid-back album though and there's plenty of piano, acoustic guitars, steel ditto, mandolin, cello, and various sound effect and loops. It basically sounds like the ultimate bar and piano album with husky vocals (Spike's aging like a fine wine) and the retro rock approach. Opener "Gracie B" is remarkably dark while the keyboard sound is darn right poppy. "Land Of My father" is the perfect 'gather around the bonfire kids' song with Spike's rusty voice at the centre of attention. "St. Cecilia" speaks volumes and class. "The Promise" send a chill to the bone with those lyric, the cello in the background, and a very classy guitar solo (acoustic). Next up, "Can't Hide It Anymore", this might just at first remind you of the Def Lep/Bryan Adams ballad of the mid 90's. However, there's so much more to this and the steel guitar and retro sound takes you on a trip to the seventies. "Out Of Your Mind", the least impressive new track in my humble opinion. Tired boogie-woogie in slow-motion. "The Hurting Kind", probably the pick of the bunch with clever arrangement and moody refrain. "Adaline", rootsy piano bar song with the spirit of the highlander soaring above. "The Best Are Not Forgotten", dark and moody acoustic rock. "Why Did It Take So Long", the trippy loop, piano chords, hammond, and Spike's voice - that's it. Geordie gone ginger? Well, it's the soft soul-ish tune that could have you thinking about Simply Red? Disc 2: The Halfpenny Dancer album (13 tracks). Disc 3: Halfpenny Live (9 acoustic tracks). Disc 4: Halfpenny Live Part II (8 tracks). The total of 40 tracks. Spot on with the official press release and had to include this: "Locked away for a week in the Swedish outpost of Klippan, the Quireboys couldn't have imagined what would emerge from the most intensive recording process of their careers. “It was the bleakest place I’ve ever seen,” said guitarist Paul Guerin, following his stay in the town whose name translates as Cliff's Edge. “I felt like I was in the Big Brother house,” added Spike. “I never stepped out of the studio – not once", end quote. You should ever be so "lucky" for staying inside, and for being the pale Geordie bandana geezer. Klippan (and their neighbours: Perstorp), the disgrace of Sweden, the HQ for the Neo-Nazi party and the place of an awful murder (no need to guess skin colour or motive). Make sure to never return or visit again? Holly, Wood U like 2 experience D 80's Sunset Strip? This 4-disc set. Enuff ztuff 2 mess U up 4 good. Blame these guys 4 the lack of ozone layer. Blame them 4 living where U ought 2 B. Blame them 4 trying 2 B GR8. Whatever U do, don't put the blame on U, blame it on hair metal? How about that for your introduction of this truly hairy-scary box set that features 36 underground acts from the '80s and early '90s LA rock scene and the total of 72 digitally re-mastered, original studio tracks. The 60-page booklet with a look at each band, and the 13-page Rock 'N' Roll Rebels: Sunset Strip Certified narrated by JohnnyX of The Wild and Adam Gifford of Paradise. Impressive. I know, I know. You're all thinking: who, what, when, where, why? To be perfectly honest. I'm just as bewildered as the vast majority of you. On the one hand, it's the super kool, ambitious, dedicated, life-long project of collecting the sound of 80's sunset wannabees. However, the other hand is constantly thinking about killing bunnies with a blunt dagger. Mixed feelings? I guess you're supposed to think of this as the piece of rock history and capturing the pure and not so innocent era of hair metal. Nothing wrong about that. But (and that's a big but), these acts weren't "good enough" for a recording contract in the first place and time hasn't exactly been kind to some of them. Don't get me wrong. I like me some sleaze and Eonian Records are out there fighting the good fight. I shouldn't be putting them down for standing up for their belief (go sleaze power!). Perhaps it's simply just the case of quantity vs. quality? I'm obviously jealous since I would love to have been there at the time and experience the 80's/early 90's groove. Hanging out at the Roxy, getting blasted at The Whiskey, doing the metal pose in front of the Troubadour. The smell of hairspray, aqua net, leather and lace. Surely it must have been fun?? But what about the music on these four discs? It's two songs each from the following cult and underground (melodic hard rock) Sunset acts of the 80's and early 90's: Rattlesnake Shake. Alice Be Tokelas. The Wild. LongGone. Hans Naughty. Imagine World Peace. Bad Blood. Cyclone Sound. Hap Hazzard. Charlotte. Lypswitch. Bad Bones. Enticier. Scratch. Hardly Dangerous. Sam Mann and Thee Apes. Mad Reign. The Mimes. Shake City. Blackboard Jungle. Paradise. Hollywood Rose. Taz. Daddy Ray. Children. Shel Shoc. Dallas Dollz. Deaf, Dumb and Blonde. Cold Shot. New Improved God. Agent Zero. Aces & Eights. Rough Justice. Byte the Bullet. Spyder Blue. Charlemagne. How many did you recognize? Here's my favourite acts and songs: Longgone (fun and groovy stuff). Imagine World Peace (quirky hybrid rock). Bad Blood (Gene Simmons managed them in the late 80's). Cyclone Sound (a real deadringer for groove). Charlotte (already released the great 'Medusa Groove' at Eonian). They have that cool sound 'ala Kingdom Come. Bad Bones (Tangier meet The Cult). Mad Reign (psychedelic rock with just the hint of grunge). Shake City (self-titled cd at Eonian). Blackboard Jungle (really catchy, like a rougher/tougher version of Little Steven). Hollywood Rose (with guitarist Chris Weber of 'Rose' fame, pre-Guns N Roses, the band he was in with Axl and Izzy). Deaf, Dumb & Blonde (great classic US Rock, demo paid for by Geffen Records. They almost made it). Byte The Bullet (they later changed their name to Southgang and released two fine albums). The Urban@RockUnited.com other Awards of the set. Cutest: Hardly Dangerous (all female-act). Coolest image: Rough Justice (comic book cops characters from Gotham city with edgy vampire overtones. Respect the hairdos! respect the hairdos). Most annoying songs: Sam Mann and Thee Apes. Worst moniker: Hans Naughty (but there's plenty of them). The Blues Brothers goes Sleaze award: The Mimes (kick kick scratch and fight). The 'I need to punch someone' song: Nag-nag-nag with Daddy Ray (horrible). No personality slash originality: Shel Shoc. Worst promo pic: Dallas Dollz. Best moniker: Deaf, Dumb & Blonde (they're at least honest). The 'f**k you I made it' award goes to Dizzy Reed (The Wild). Coolest songs: "This Is Now" by Alice Be Tokelas (the wicked semi-ballad) and "Dead Rock Stars" by New Improved God (Detroit Rock). Final verdict: The ultimate compilation of unsigned acts of the approx: 1987-1992 Hollywood and Sunset Strip era. Respect the craft and sheer dedication behind the project. It's many years of hard work by its creator and it's a interesting set from a historical point of view. You simply have to take the good with the bad. Far from everything is great and it's a whole lot about first impression and paint (pretty much the story of Hollywood). Arghhh... the pipes, the pipes are calling. Or rather as our favorite cat once sang: 'Beth I hear you calling' (Peter Criss). Indeed. This goes straight to the HART as she's dealing with demons that have pursued her for her whole life: her older sister who died from complications from aids and her own battle with drugs, booze, bad relationships, bad decisions and ultimately the diagnosis that tied the knot on the whole damn thing, bi-polar disorder. Beth's putting those demons behind her, embracing the great things she’s done and the good things she has and looking forward, because no matter how bad things got sometimes, no matter how dark the sky, how smelly underwear, something always drove her into the light. That's right kiddies. Always remember that famous people struggle with demons, the rest of you are simply just f**ked up beyond belief. Seriously though. 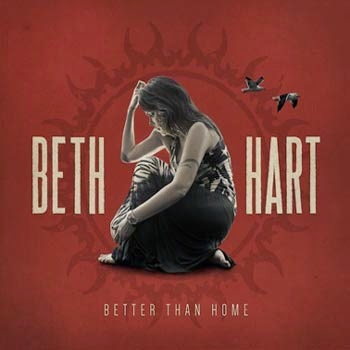 I could listen to Beth Hart 24/7 as she's one of those singers that managed to combine dynamic range with emotional strength. Simply just put on this sucker and kick off your shoes as you'll be here/there for quite a while. With "Better Than Home" Hart has produced a classy and mature platter absolutely chock full of old school arrangements and laid back R&B/Soul with just the hint of jazz and country. It's basically the timeless effort that just as easily could have been released in the 50's, 60's, 70's or any other ancient era for that matter. Do however not expect to find many or any uptempo tracks whatsoever since they are all pretty low and introspective. The title track goes deep and speak of resurrection and finding peace within yourself. 'St. Teresa' speak of a man in prison and reflects on the whole situation. The chorus part is the hurting slash crying kind and I quote, "Mother is it ok if I call you mama? My own walked away when I broke the law. And standing on the bridge feeling like falling. Would you pray for me mama". Unbelievable, touching, and simply just the perfect ballad material. And yes, I believe there's a movie about this of the nineties and thus her inspiration? The bonus track of "Mama This One's For You" feature the piano pattern of some old ABBA tune? I believe it's The Winner Takes It All? From the other tracks, you can take your pick since there's no dodgy numbers on this album. But again, you need to be in the zone or rather in the mood, since it's all 'old skool blue' and not the uptempo blues of some of her other projects and albums. It's basically the exact opposite to any Celine Dion album (yuk!). It's the sound of angels crying and it's personal and emotional music with a powerful message and agenda. To never give up, never give in, never surrender! Sheer class. Pure grief. Hallelujah! The songs that actually did make it to the album are mostly very good. Based in the Swedish hard rock tradition, you can hear influences from the big eighties’ bands such as Europe and Treat, with touches of Scorpions and even Iron Maiden. The band’s sound isn’t totally retro though, the songs are infused with youthful energy and some modern stylings. Vocalist Alex Langhorn has a voice with a bit of a sleze-rock vibe, and occasionally he sounds uncannily like Mats Leven (Malmsteen, Swedish Erotica, At Vance etc). There’s plenty of rock vocal power in the band, as guitarist Ludwig Turner is a good singer too. He was a finalist in the Swedish Idol 2014 competition. The band has paid a lot of attention to making their choruses big and anthemic, which isn’t a bad thing in my books. Highlights include ”You Called My Name”, ”Tell Me” and ”Make Me Believe”, just to name a few. The two songs I would have replaced with the singles mentioned above would have been ”The Beast” and ”Coming Home”. The former does have a fairly decent chorus but the rest of it just plods along, while the Iron Maiden-meets-Tesla-like ”Coming Home” is okay but a bit forgettable.